No doubt you've heard terms like "body shaming" or "real women." They've become popular, but what do they really mean? There is cultural revolution afoot where women are encouraging each other to love their own bodies instead of tearing each other down. The number one way NOT to be a feminist is to belittle and demean each other or to define a "real woman" with a specific body type exemplar. The internet has recently fallen in love with an awesome human. If you don't know who Megan Jayne Crabbe is, then this is the perfect introduction! Megan is the owner of the popular Instagram account @bodyposipanda, and it is her mission to show us what "real" is...and what it isn't. 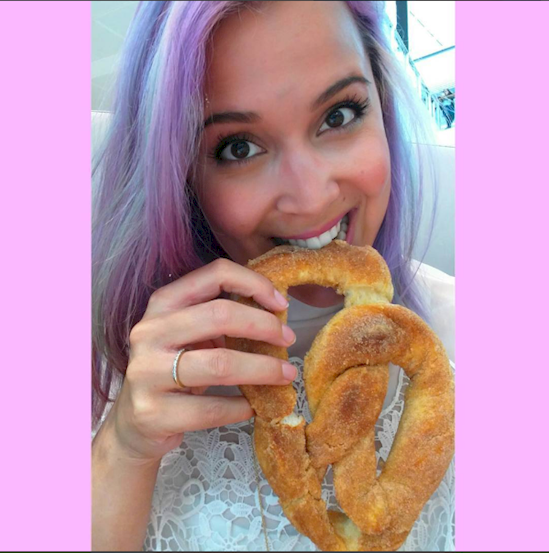 SHARE Megan's mission to help encourage positive body love around the globe! This is Megan. She loves her body. However, this wasn't always the case. ...to be some version of "perfect." 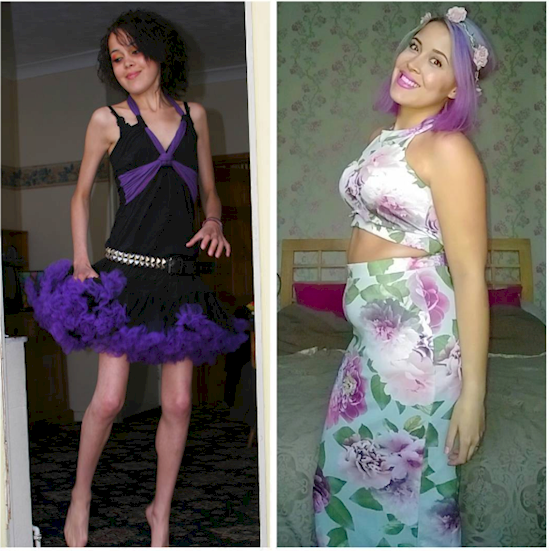 As a teenager, she battled anorexia nervosa. 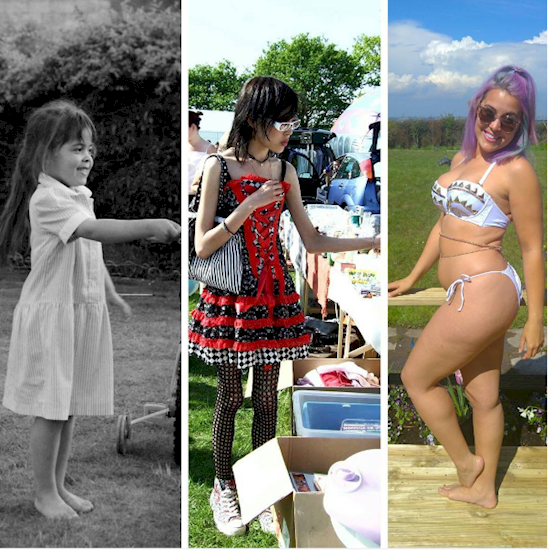 "I started comparing my body to other people's when I was 5. I remember sitting in those tiny school chairs and being horrified at how much more space my thighs took up than the girl's next to me. "5 years old and I'd already heard the world's message loud and clear - shrink yourself. "Be small. Be beautiful, our kind of beautiful, at any cost. Under the spotlights of growing up those body image demons grew into something bigger, something hungrier, something that left no trace of me behind." But eventually, Megan decided to say "NOPE" to body shamers. "I wish that person could see me now. I wish I could show them how hard I fought, how many tears I shed, how many demons I overpowered and how much self hatred I overcame. I wish I could show them that recovery IS possible. But since I can't show them, at least I can show all of you. 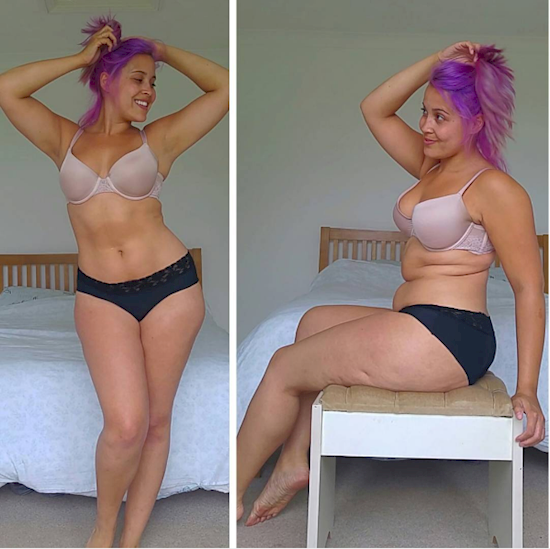 "WE HAVE NO IDEA WHAT REAL BODIES LOOK LIKE ANYMORE. 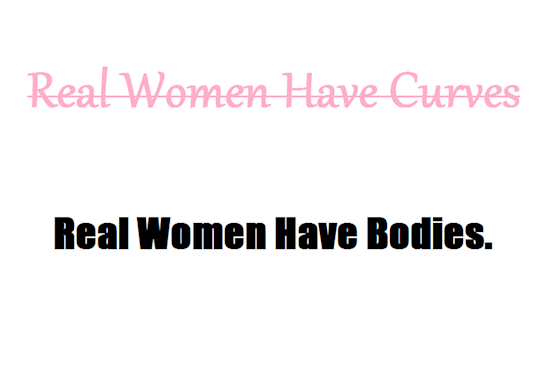 "And no, not real as in 'REAL women have curves' (screw that body shaming bull****, all women are real). "Real as in RAW, unedited, unposed, unairbrushed, REAL. "Bodies from all angles, not just the most 'flattering' ones. We see so many painstakingly posed professional model bodies that we start to see our own as flawed. Abnormal. Ugly. But there really is no wrong way to have a body, despite what we've all been taught. "...you are worthy of self love at any angle. You are beautiful posed or not. You deserve to embrace every part of yourself. And you are so much more than a body." SHARE this empowering message with your fellow (wo)man!